Hamilton Model Railroaders Te Awamutu model railway exhibition. 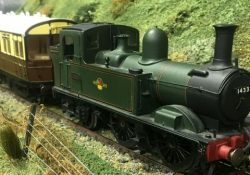 With a variety of tracks and layouts, in different scales and with different themes. Includes trade stands and operating layouts. 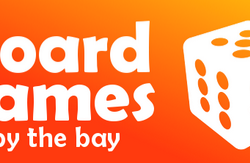 Board Games By The Bay (BGBTB) is a series of epic tabletop gaming events run each year in New Zealand. Since 2011, these weekend events have brought together the community to learn and play modern board, card and dice games in a friendly, social environment. These events bring together enthusiasts and players new to the scene in a relaxed, fun environment. Participants enjoy catching up with old friends and making new ones, trying out different games or relaxing with familiar ones, and entering the free competitions. Numbers are growing with each event, and we’re expecting to fill our venues to the brim in 2018. It’s always great to see so many old friends and newcomers, experienced gamers and families showing up, and we’re looking forward to seeing YOU this time around. There will be a library stocked with all kinds of games for you to try, and many people bring their own games and invite others to join them. You are most welcome to bring your own games along. We have a team of great volunteers (our friendly RedShirts) who are experts at teaching a wide variety of games to new players. Backed by the Ministry for the Environment, and working alongside Department of Conservation and Statistics New Zealand, our multi-award winning charity Sustainable Coastlines is delivering a project to create grassroots solutions to litter in Aotearoa. As part of this project, we are offering free training workshops for individuals and groups who would like to take part in ongoing litter data collection on their local coastline. The workshop will pass on the skills in surveying, data collection, and Health & Safety that will allow you to play an important part in this long-term effort. 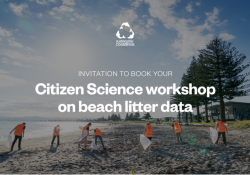 This “Citizen Science” project will allow you to contribute data to New Zealand’s first national beach litter database, meaning that the information collected reaches those that need it for decision-making. In terms of the level of commitment required from your group, the project is ongoing and ideally each of the monitoring sites will be surveyed a minimum of 4 times per year, for at least the next 3 years. We are setting up 108 sites like these around Aotearoa and this long-term data will play a critical role in proving the litter problem and helping to prioritise solutions. We will be working around the following towns and regions during the dates listed below, and would love to organise a free Citizen Science workshop specifically for your group during these dates. Simply click ‘Book workshop’ to email our friendly team with a date that works for you. Find out more about the project and the workshops in the sections below. Date: We’ll arrange a workshop specifically for your group. Just let us know the date and time that suits best within the dates that we’re in your region. Location(s): We will run a 2-hour workshop session at a nearby indoor space of your choosing, eg surf club, community centre, marae etc, followed by a Litter Survey at a local beach / coast that you would like to collect data from on an ongoing basis. This will be your “Monitoring Site”. Sustainable Coastlines will assist you with your monitoring site selection. Please let us know your beach and indoor location preference(s) so we can make arrangements. Capacity: 3-10 ‘Citizen Scientists’. We highly recommended that a minimum of 3 people from your organisation / community group attend so that leadership and knowledge can be spread. Northland: Mon 28 Jan to Fri 1 Feb. Book workshop. Auckland: Tue 12 Feb to Thu 21 Feb. Book workshop. Coromandel: Mon 4 Feb to Fri 8 Feb. Book workshop. Waikato West Coast: Tue 19 Mar to Thu 28 Mar. Book a workshop. Taranaki (New Plymouth & North): Tue 16 Apr to Thu 25 Apr. Book workshop. Taranaki (South of New Plymouth): Tue 2 Apr to Thu 11 Apr. Book workshop. Manawatu-Whanganui: Tue 5 Mar to Thu 14 Mar. Book workshop. Wairarapa: Tue 30 Apr to Thu 9 May. Book workshop. Wellington: Tue 5 Feb to Thu 14 Feb. Book workshop. Can’t see your town or region above?! Never fear. We’ll be in touch again in the next few months as we confirm dates for our next roadshow from May 2019. Eventually we will set-up at least 108 long-term Monitoring Sites all around Aotearoa, so there will be plenty of opportunities to get involved. Citizen Science Workshops by Sustainable Coastlines. 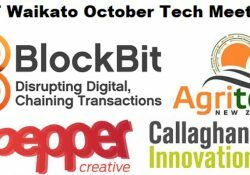 The IoT Waikato Tech meetup is a group for innovators, thought leaders and organisations interested in developing the Internet of Things (IoT) and digital technology in the Waikato. An opportunity to get together, share, collaborate, contribute and co-create, or just come along and find out what is happening with the IoT and other digital technology and what it means or could mean for the Waikato. The October Meetup will include the AgritechNZ Roadshow with the evening commencing with nibbles and networking from 5pm whilst attendees browse exhibitor stands before formalities kick off at 5.45pm. If you are interested in exhibiting please get in touch. BlockBit focuses on solving the problems that undermine trust in today’s business transactions through connected, secure, trusted, traceable emerging technology solutions. They service a number of industries including Agritech. By combining business analysis, technology and creativity Pepper delivers innovative solutions that move you from the now and into the future. Launched in 2018, Agritech New Zealand connects innovators, investors, regulators, researchers and interested public and promotes opportunities and challenges raised by agritech. New Zealand becoming the first ‘Country Partner’ of Farm2050, the global collective of major venture capital firms and international agribusinesses seeking investment into, and partnerships with, disruptive New Zealand agritech businesses. New Zealand signing a major strategic partnership with Western Growers, the largest network of fresh produce farmers & growers in North America. Can you leverage this unique market opportunity for your tech? Participating in evokeAG, the Trans-Tasman agritech conference, taking place in Melbourne, 19-20 February 2019. Are you ready to export to the Australian market? The opportunity to join working groups and workshops designed to focus on some of the major issues affecting the country’s primary sector and technology’s role in addressing them. As New Zealand’s innovation agency, Callaghan Innovation activates innovation and helps businesses grow faster for a better New Zealand. Hear how you can engage with Callaghan Innovation to support your research & development capability. IoT Waikato is a Wintec initiative and is supported by Design Factory NZ, Waikato Innovation Park, Pepper Creative and CultivateIT. Event on Eventbrite or Meetup. Get ready to be inspired and challenged by local people changing the world around them with their unique ideas, creations and impact activities. In the session breaks get chatting to the equally incredible local attendees around you! 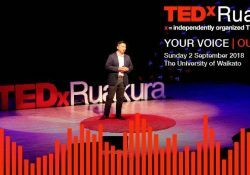 Make social and business connections during the day to keep your TEDxRuakura experience going. The day will be broken into four sessions of roughly 1 hour. Food and drink during the event is included in your General Admission ticket. VIP ticket holders will receive a voucher to redeem a barista made hot beverage at the start of the event only, from 9:00 am. On Sunday evening, once the talks are done, an exclusive experience awaits VIP ticket holders at our after party, held at a mystery location in central Hamilton. 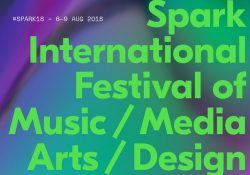 Get inspired while you learn, share and connect face-to-face with creative visionaries who hail from the USA, Australia and New Zealand at Spark’s 20th Festival. This week long series of talks, workshops, exhibitions and performances will be held on Wintec’s city campus with other events happening in the heart of Hamilton city. Speakers will share their knowledge in talks and workshops on everything from being a social influencer, to making it as a freelancer, finding creative people-centred solutions to difficult brand problems, and building collaborative creative and inclusive communities in an increasingly connected world. Step out from behind your screen and be part of this two-way exchange at these critical, and intimate, conversations. Share knowledge and fuel your curiosity at this week-long, creative experience. The festival is free to attend and open to all, though there are limited places at each event. For entry, students bring your Wintec ID and for anyone else get your Eventbrite Ticket at no cost here. To sign up for workshops click the register link on the website and find out all you need to know. Listen to a case study from LICA about the pursuit of embedding a data driven mindset to product development. Nick Winter and his team at LICA will take us through the theory behind the strategy: Observe, Orientation, Decide and Act. We will hear an open discussion about the common behaviours and pitfalls that happen when product companies execute on the strategy. As well as showcasing the tools LICA currently use to make data driven decisions and offer real time and proactive support to both their domestic and international product base. Nga mihi o te wa ki a koutou katoa. Te Mana Raraunga is holding a hui to wananga how we should be dealing with data from a Maori worldview. What concepts, values, tikanga and kawa should be informing the way we deal with data use, data ethics, data governance, and data protection. There are a number of data initiatives underway, some led by government, some led by iwi, some led by other organistions that are making use of Maori data and we need to develop ways to ensure culturally safe and appropriate approaches to data sharing and data linkage. Not mentioned. Please contact organisers, Te Mana Raraunga. 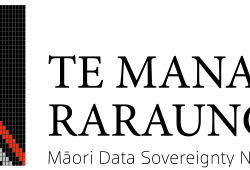 Te Mana Raraunga – the Māori Data Sovereignty Network. Gary Buczma will demo Python Pandas to unlock and exploit the potential of unstructured data and open data, as a Data science tool. 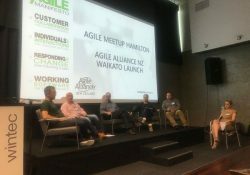 Hamilton Python Meetup is a group for professional developers and users of the Python programming language in New Zealand to expand our network of people, opportunities and ideas. We have monthly meetings with presentations – if you’re interested, please join the group and check out our website for further information. 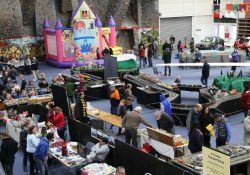 The Expo, organised by the Taupo Model Railway Club, features model railways from around the North Island, and also gives local model makers, craft and hobby groups an opportunity to display their skills to the wider community. Refreshments are available, as well as free activities for the youngsters, making the Hobby Expo the perfect venue for a family outing. © 2019 Goto Geek NZ. All rights reserved.